Why Are Spending Cuts "Phony"? The line is that tax hikes are bad, cutting the defense budget is bad, and the domestic spending cuts are "phony." James Capretta made the same charge recently. Note that we don't know what the deal is, and conservatives have no specific reason to believe that any domestic spending cuts will be "phony." It's simply an article of faith on the right that any spending cuts in bipartisan deficit agreements are phony. I would note, however, that this belief is problematic even by its own internal logic. 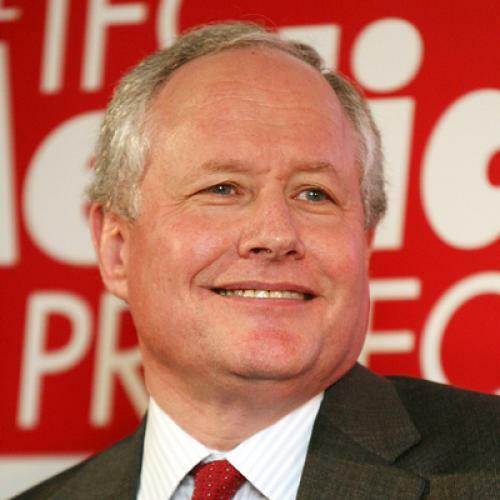 While lamenting the "phony" spending cuts, Kristol laments the defense cuts, which he assumes are all too real. It's not clear what mechanism he believes will guarantee that the military cuts go into effect while the domestic cuts are ignored. Perhaps he expects the Republican leadership to agree to have all spending cuts administered by an independent board run by Tom Hayden and Acorn. Perhaps the single most stunning piece of information that the CBO report reveals is that Ryan's plan "specifies a path for all other spending" (other than spending on Medicare, Medicaid, Social Security, and interest payments) to drop "from 12 percent [of GDP] in 2010 to 6 percent in 2022 and 3½ percent by 2050." These figures are extraordinary. As CBO notes, "spending in this category has exceeded 8 percent of GDP in every year since World War II." Defense spending has equaled or exceeded 3 percent of GDP every year since 1940, and the Ryan budget does not envision defense cuts in real terms (although defense could decline a bit as a share of GDP). Assuming defense spending remained level in real terms, most of the rest of the federal government outside of health care, Social Security, and defense would cease to exist. Oddly, nobody on the right considers these cuts "phony." I believe the guiding principle is that spending cuts pushed through by hewing to purist conservative values are "real," while spending cuts obtained through bipartisan compromsie are "phony."